In 2012, when Swedish furnishing brand Ikea planned its India entry, it couldn't have imagined the attention it got all across India — though for unwanted reasons. It was still early days for single retail brands that were planning to enter India and local traders’ bodies across the country were organising massive protests, saying the retailers would kill small businesses. The government too faced the wrath for liberalising local sourcing conditions. The brand fell victim to Swadesi politics and was all over the news channels and business papers. By the time Ikea got clearance from the Foreign Investment Promotion Board (FIPB) and Cabinet Committee on Economic Affairs (CCEA), it was already a familiar name because of the press it had earned. Since then, it has been among the most written about foreign brands in India. All kinds of content – starting from its restaurant menu to furniture type and material and the kind of investment the brand would make in India – had been published. So when the Swedish home furnishings major opened its first store in Hyderabad earlier this year, the brand was hoping for a major splash. But with nearly a lakh people thronging its store, it had not expected that the launch would make a case study of sorts. “We did expect a high turnout but not that much. Before launching in India, I opened Ikea in South Korea so I had a lot of learnings from there. 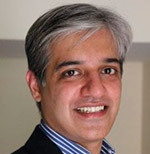 But the response has been overwhelming in India,” Ulf Smedberg, Country Marketing Manager, Ikea India, told BestMediaInfo.com. Ikea started preparing for the Hyderabad launch, two-and-a-half years ago. “We had the first interaction with the market when we came up with our experience centre in a shopping mall. It was a 3,500 square feet place, which had a little flavour of Ikea. We had the room set, products, kids playing area and kitchens. Just to promote what Ikea is about. That created a lot of traffic and attention. We had more than 3,000 visitors in just that small experience centre,” said Smedberg. Ikea started building the brand and creating buzz in Hyderabad in November last year. Ikea began early with the corporate PR about four years ago and started to connect with the government authorities. “We created awareness around Ikea saying that we have been here for 31 years, not just retail but purchasing and trading. We flew some officials to Sweden to look at Ikea stores and what does it mean in order to facilitate our expansion,” said Smedberg. Then the brand hired Cohn & Wolfe Six Degrees as its commercial PR agency in January this year. “Having brought experience from the other markets, we know that PR and events create most of the attention. TV commercials also play a role but PR has a very important role in becoming the talk of the town,” Smedberg added. After two years of coming to India, Ikea started working with its creative agency Dentsu Impact. The brand took the Dentsu team to Sweden to show them across Ikea, their values. “From the time we started working on the pitch for Ikea for the launch of the first store, we kept a few things in mind. Firstly, while we wanted to go by exactly what the Ikea tonality and sensibility is, we also wanted to do absolutely something different in terms of engagement with the consumers. We wanted to make it exciting for people. It was an India launch, but at the same time the store was only in Hyderabad. We first had to make it exciting for people in Hyderabad along with making it an India launch. That was a challenge for us. We wanted to make the right amount of buzz,” said Amit Wadhwa, President, Dentsu Impact. “The first brief we got from them was about six months of paternity leave and that itself sets Ikea apart. 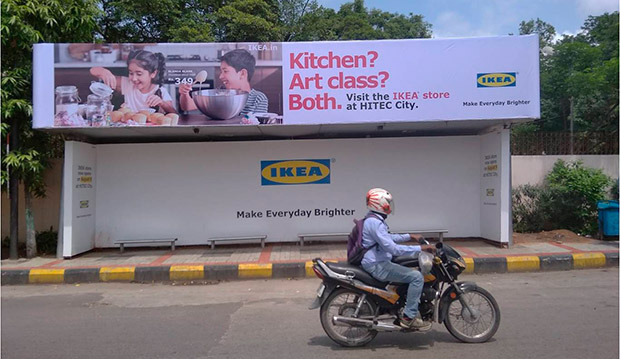 Then came the phase of employer branding, which was about recruiting people for Ikea in Hyderabad. We didn’t use models but Ikea co-workers to invite people to join Ikea. The ad was released 8-9 months before,” Wadhwa added. The agency launched the first Ikea TVC in July that captured playful moments between family members and showed just how amazing our lives at home can be. Each situation brought to life a new perspective to everyday life at home and how Ikea's home furnishing solutions help make each day brighter and happier. “People generally showcase products in ads, but we have done it differently over here where the products are actually talking in an interesting and funny way, explaining exactly what they are,” said Wadhwa. The appointment of the creative agency was followed by finalising the media agency on the record Mindshare and social media agency Foxymoron. Ikea quite frequently held full-day brainstorming workshops with its media agency. “We briefed the agency and then brainstormed together and eventually came up with solutions together. We wanted to reach many. In the beginning we covered all media. We had high GRPs on TV. People are spending a lot of time in car, so billboards and radio were equally important mediums to cover. All this created social media attention,” said Smedberg. Airport conveyor belt, rickshaws, placement of a huge chair at Char Minar and branding on bus shelters brought twinkle in people’s eyes when they saw Ikea. Conceptualised and executed by Kinetic, the outdoor campaign was kick-started across various media and was supported with multiple innovations on outdoor formats as well as at the Hyderabad airport. Over 150 OOH media across Hyderabad city helped create more than desired buzz around the launch. Taking up niche media options like metro train and digital cab branding that displays location-specific customised messages, the brand grabbed the attention of many by being present in every nook and corner of the city. Understanding the OOH media crisis in Hyderabad, the agency strategically chose multiple mediums across different touchpoints to ensure maximum reach, thereby driving more traffic into the store. Street furniture played a key role in increasing the frequency and was supported with large facades in malls. Rajeeb Bhattacharya, VP (Head, South & East), Kinetic, shared more insights from the campaign strategy. “We showcased how life can be made bigger, better and happier with Ikea homes in the streets of Hyderabad. Needless to say, the canvas of the city got wrapped with Ikea branding, and was among the most visible campaigns. 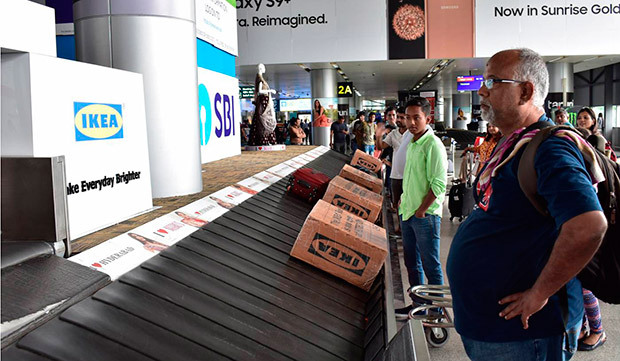 The surprise element at the airport, the countdown billboard and geo-targeting with mobile has made the campaign highly recallable both by advertisers and by consumers,” he said. The talking point of the campaign were the innovations such as the countdown timer on a bus shelter along with AC and non-AC bus shelters, showcasing the idea to “reimagine spaces”; the airport innovation where Ikea flatpacks came out of an illuminated arch gateway set up at conveyer belts, announcing the arrival of the brand. A lot of big brands have entered India but none created such buzz like Ikea. “It’s a combination of factors. Social media is extremely efficient. Also, when we entered India, we are not here to just to make a lot of money. A lot of companies must be coming to India to make short-term profits. We have a big conviction to help people so that they have a better life. We are here to sell of course, but also let people have affordable home solutions and that created a lot of interest,” Smedberg concluded.